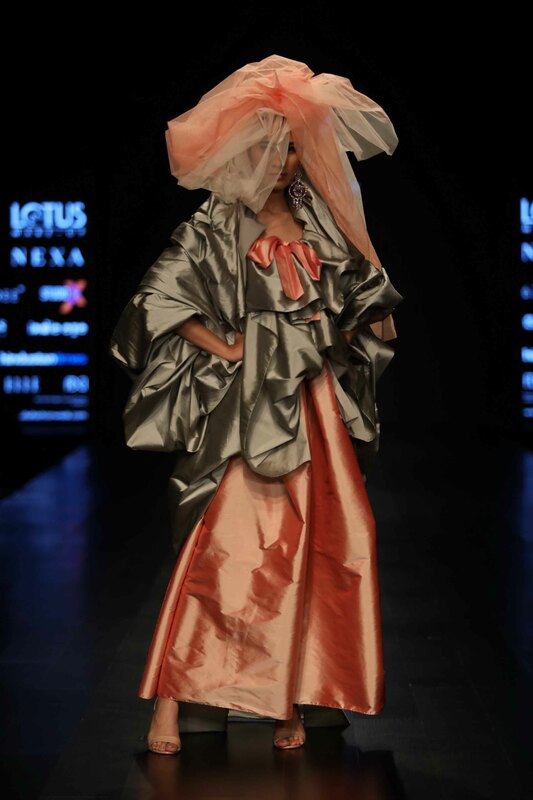 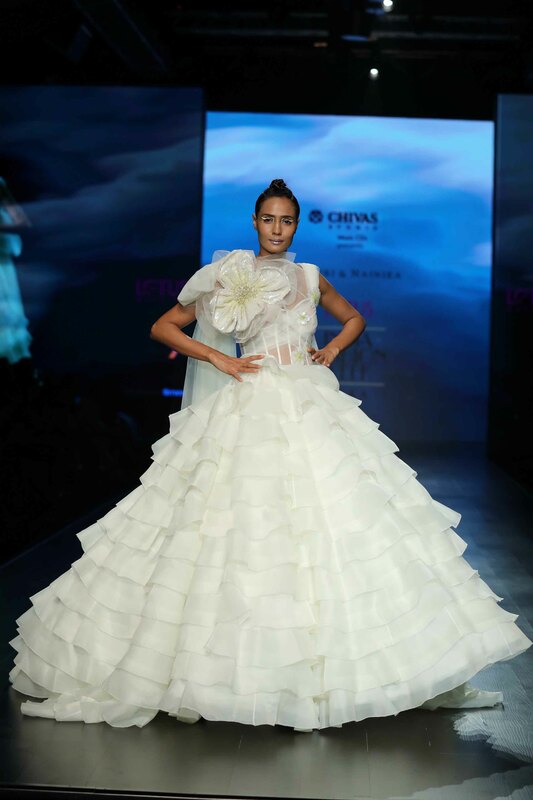 The second day of the LMIFW featured not one, not two, but three designers who staged their shows after a substantial hiatus from the FDCI-run event. 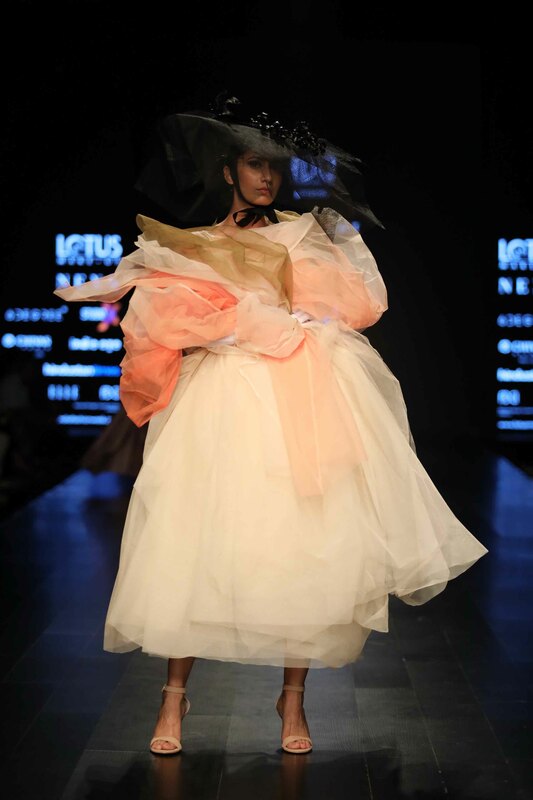 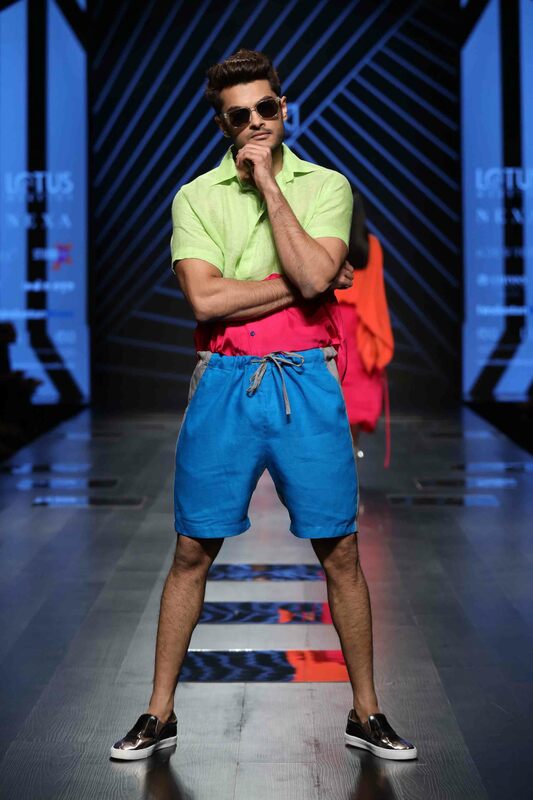 And in the spirit of comebacks, Wendell Rodricks stood out as a highlight of the day, after many seasons of safe designing. 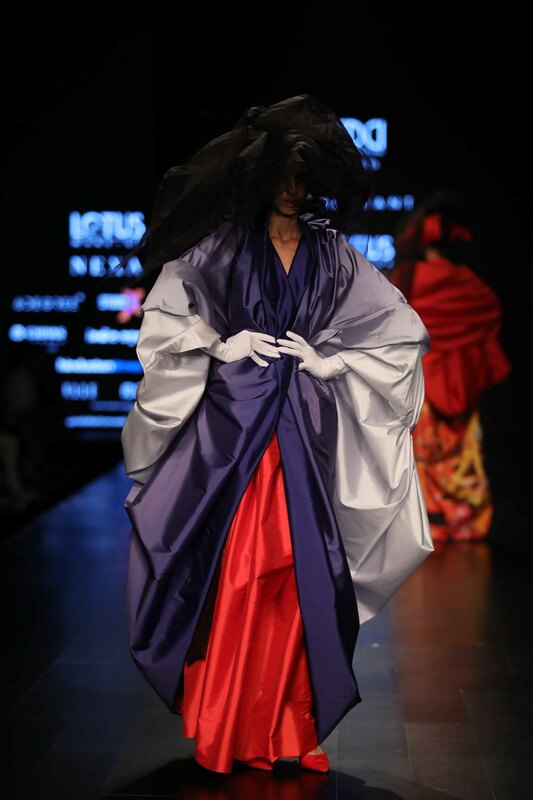 Prashant Verma marked his return with a ode to John Galliano’s days at Dior in the late ’90s: all excessive fabrics, oversized silhouettes, and prints like stains. 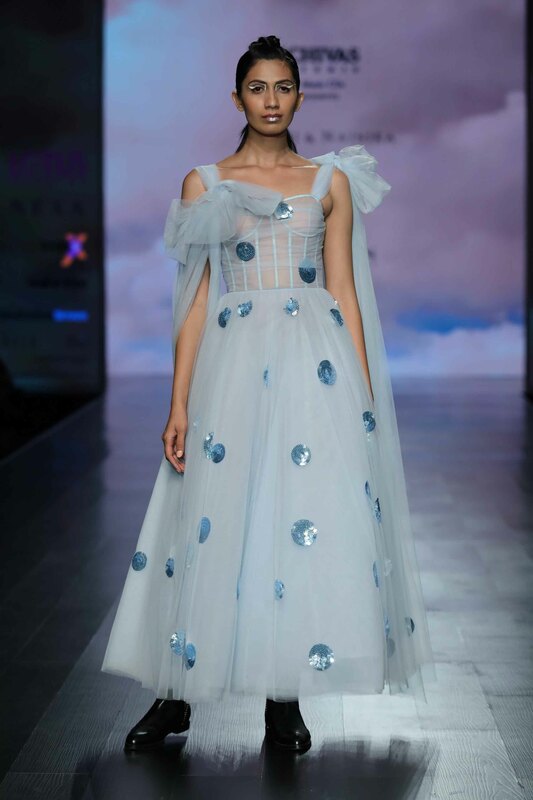 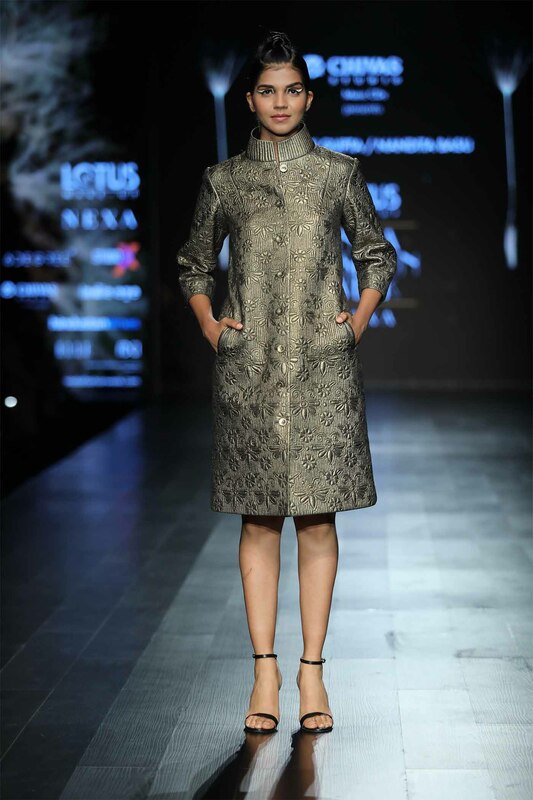 And at the close of the day, Abhishek Gupta and Nandita Basu came together to showcase a collection that harked back to their heyday: all machined textures, quilting, structured cuts, and bold, appliquéd motifs. 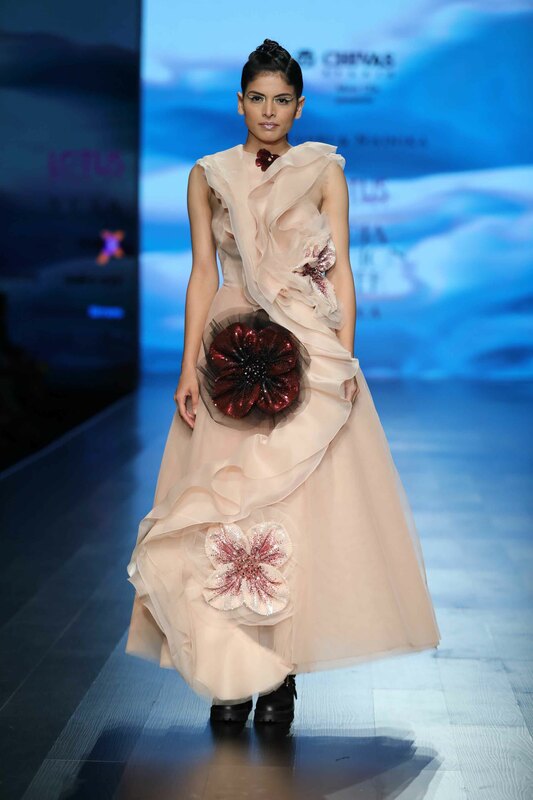 Then came Gauri & Nainika, whose flouncy gowns and flared dresses were off-set by leather boots, the only jarring element in a show that otherwise hinted the serenity of Josep Font’s work at Delpozo. 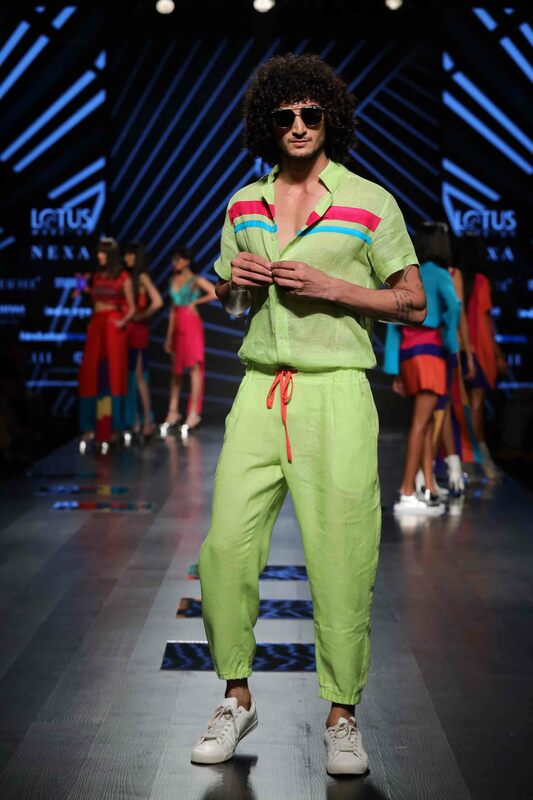 What’s interesting, and common, between all three brands is that the designers each stuck to their signatures. 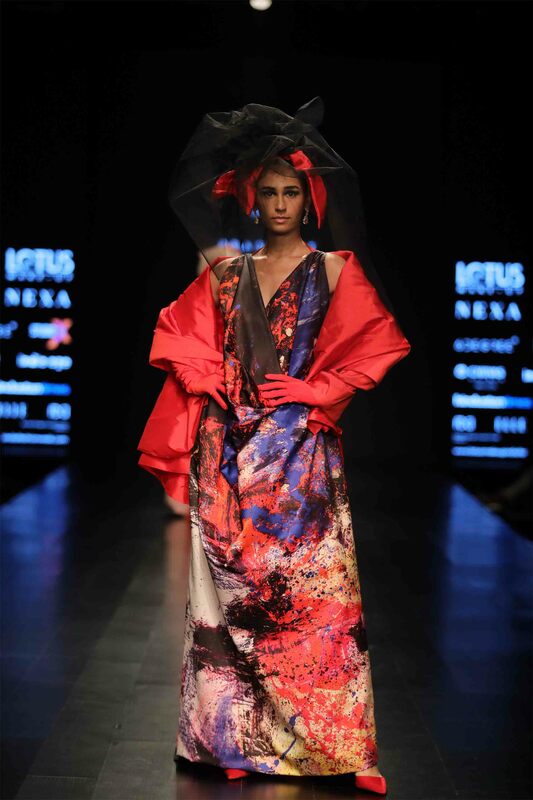 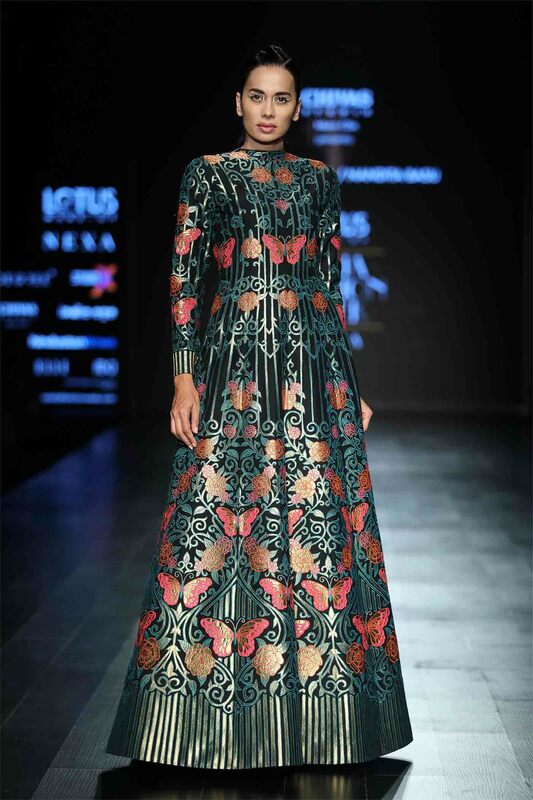 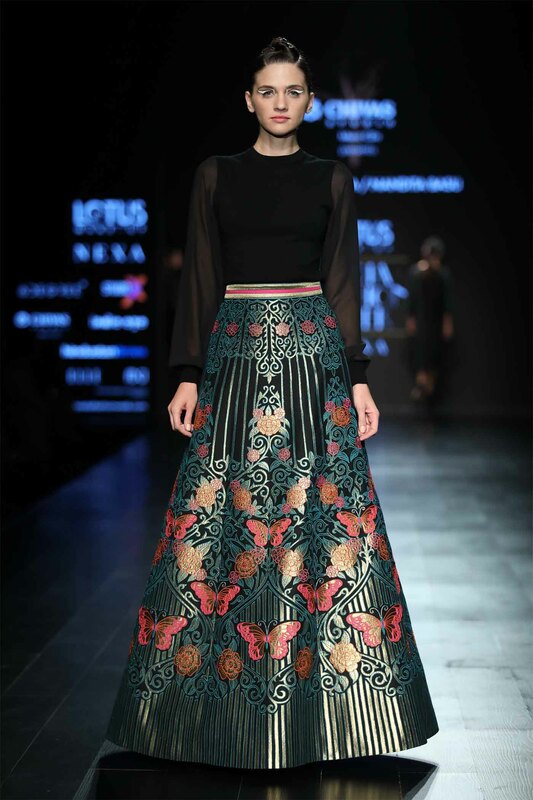 Prashant hand-painted most of his kimono-gowns and pantsuits, Abhishek & Nandita took appliqué and quilting to the next level, and Gauri & Nainika showed their mastery at creating fantastical, fairytale dresses. 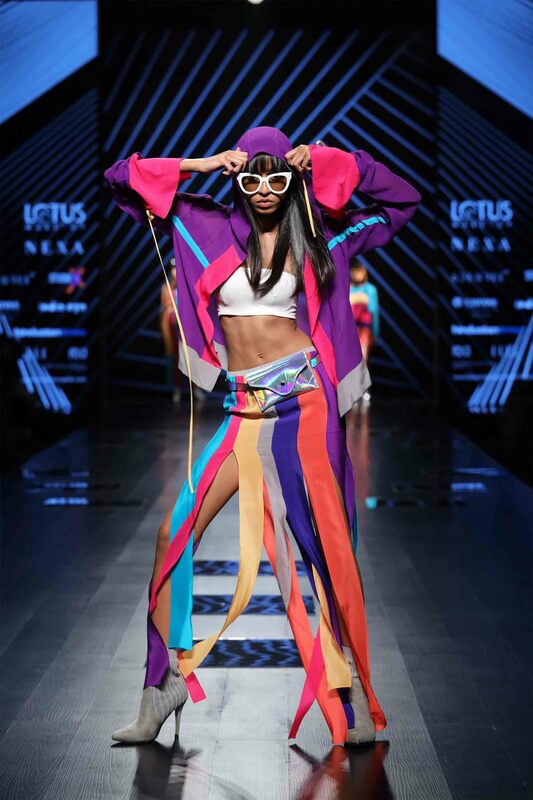 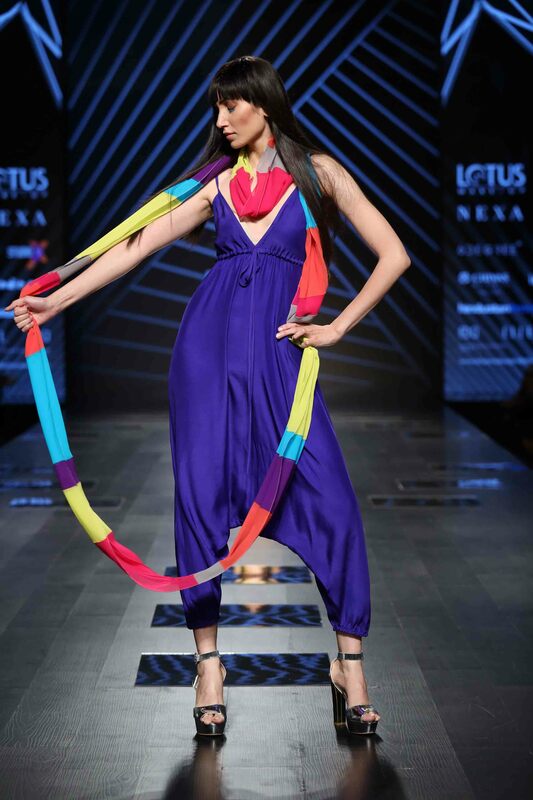 At Wendell Rodricks, designer Schulen Fernandes used bursts of colour to send out a happy, peppy collection of Wendell’s signature resort wear staples. 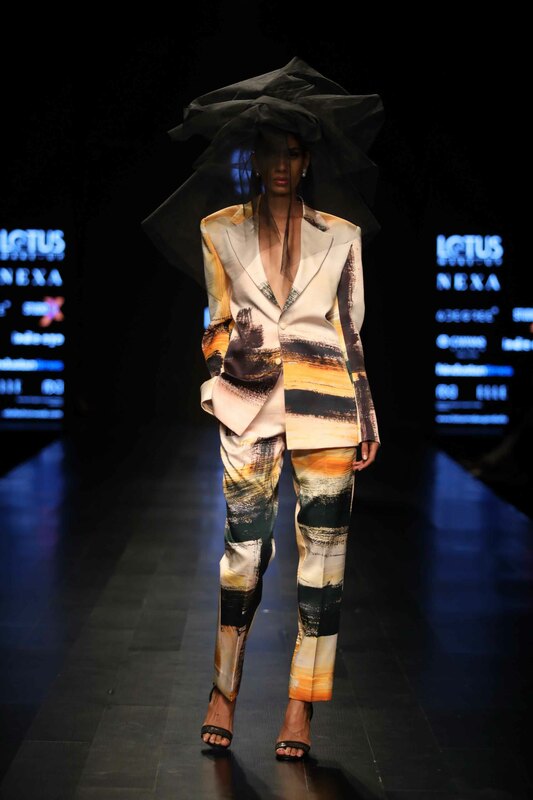 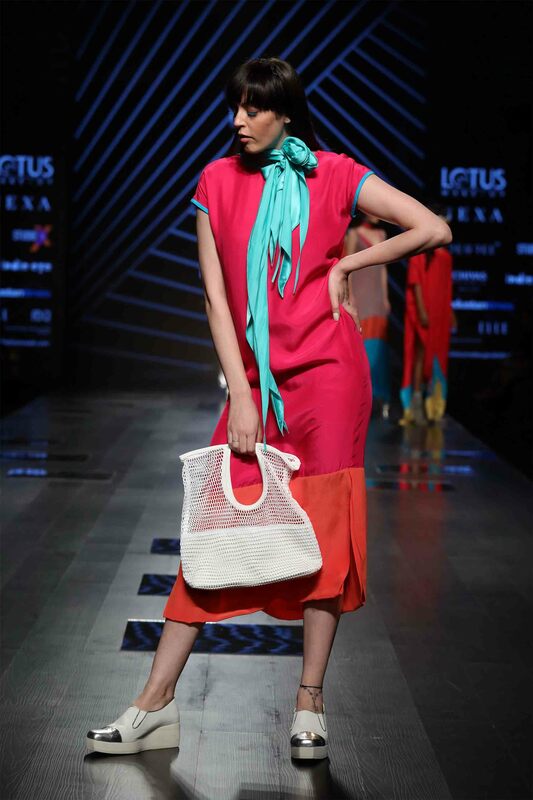 But even though I couldn’t help but compare this show to Bombay-based James Ferreira’s collection from 2012, which had pretty much the same colours this range came as a breath of fresh air amid the current obsession with pastels, folksy designs a la Pero, and handwoven textiles.